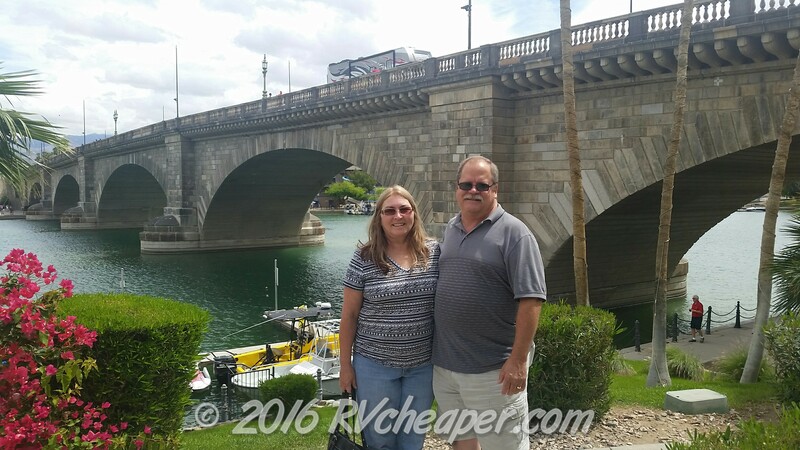 i’m leaving on a Jet Boat… – RV Cheaper! 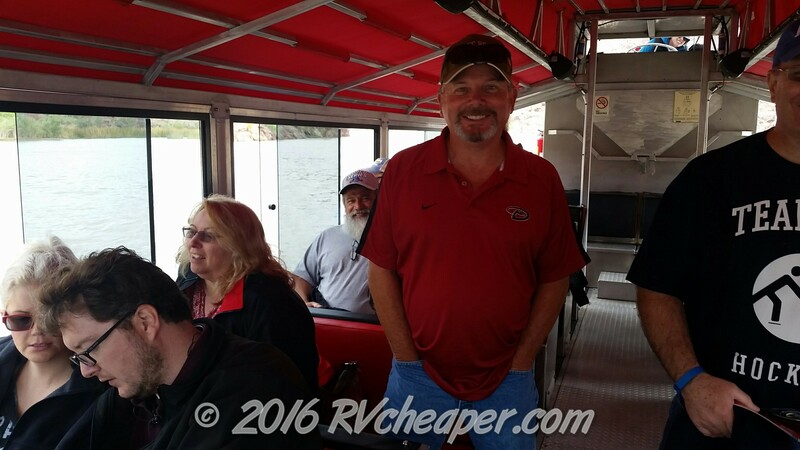 April 12, 2016 August 22, 2016 RV Cheaper! 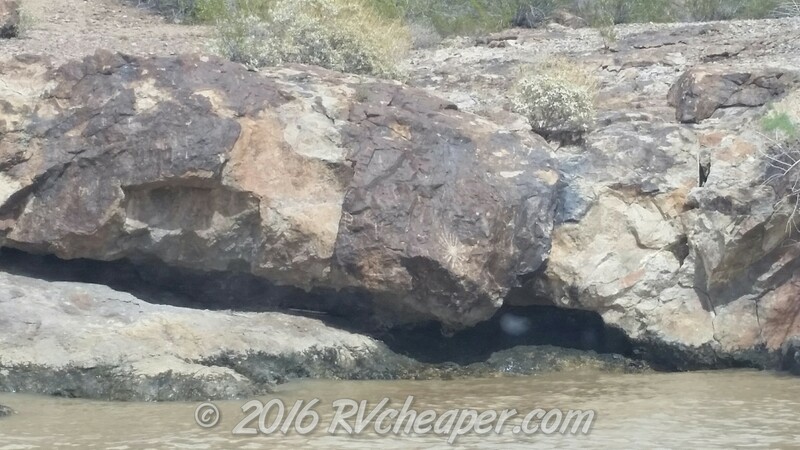 In my last posting I mainly wrote about the camping opportunities along the Colorado River from Bull Head City/Laughlin downstream to Lake Havasu. 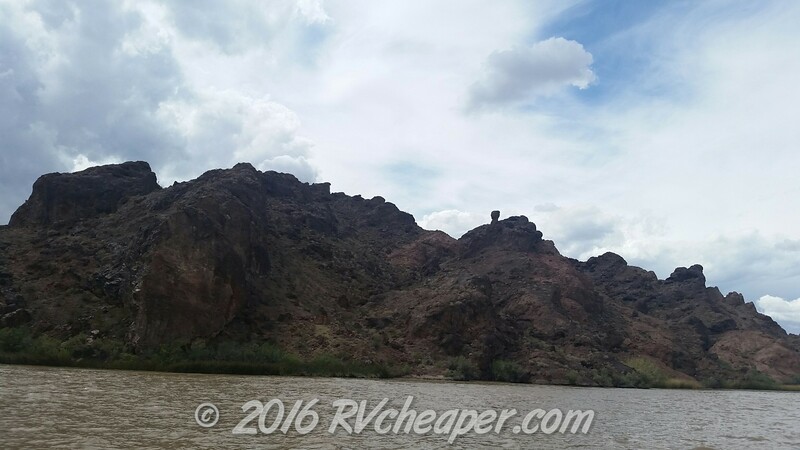 This post is from the afternoon trip back up river and the other sights along the way. The boat arrived about noon at London Bridge and we went to go eat lunch and shop until the boat headed back about 2:00pm. It still amazes me that they brought that bridge all the way over from London! There’s 24 lighthouses around Lake Havasu, I never knew they had these in the desert! They are 1/3 scale replicas of lighthouses on the east & west coasts. 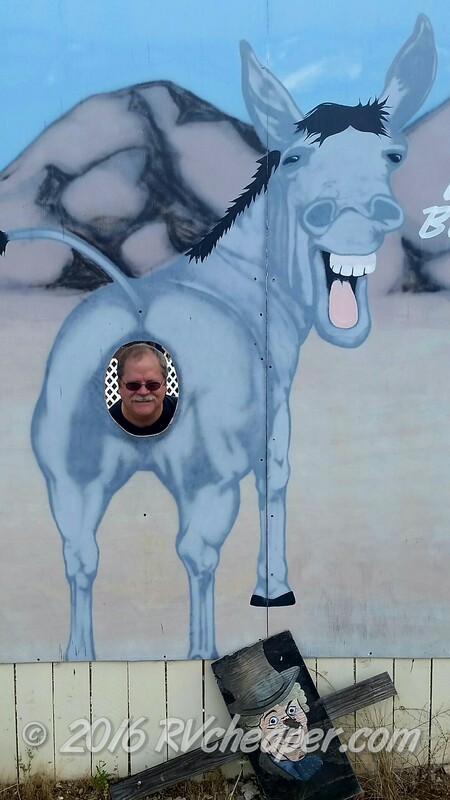 Click on this photo for more details! 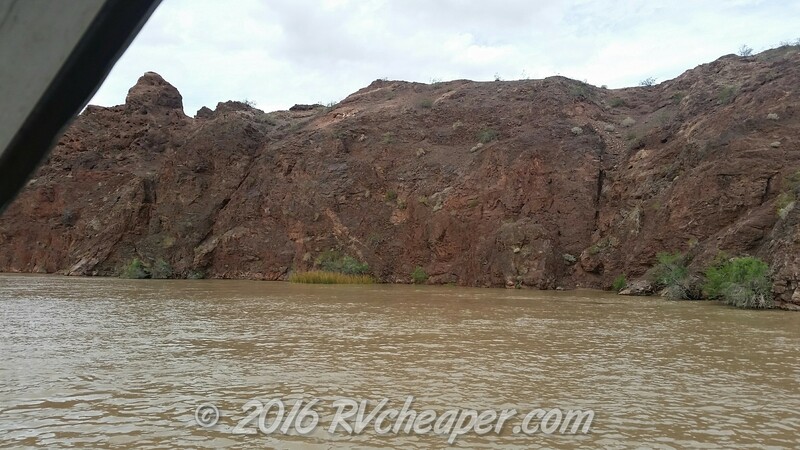 One of the most scenic sections of the Colorado River between Lake Havasu and Laughlin is Topock Canyon in the Havasu National Wildlife Refuge. The jagged stone canyon walls are awesome and the trees and plants quite diverse compared to most of the surrounding deserts. 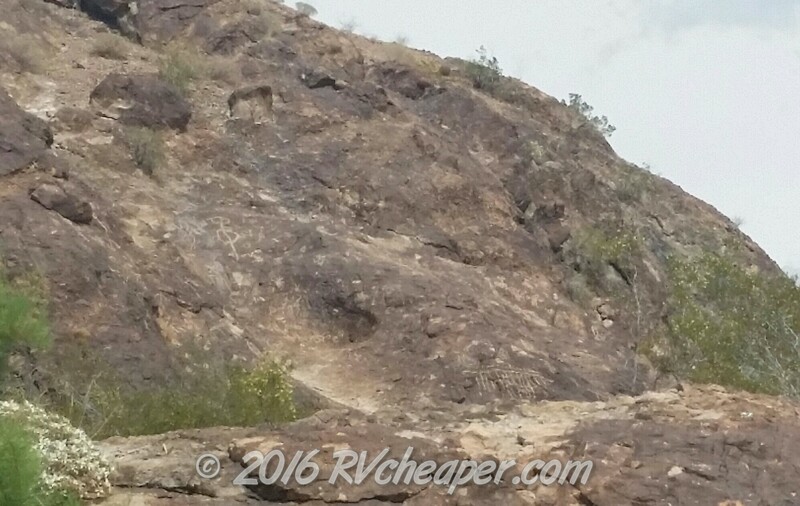 Some areas you’ll see ancient petroglyphs from the rivers edge on up into the hills. 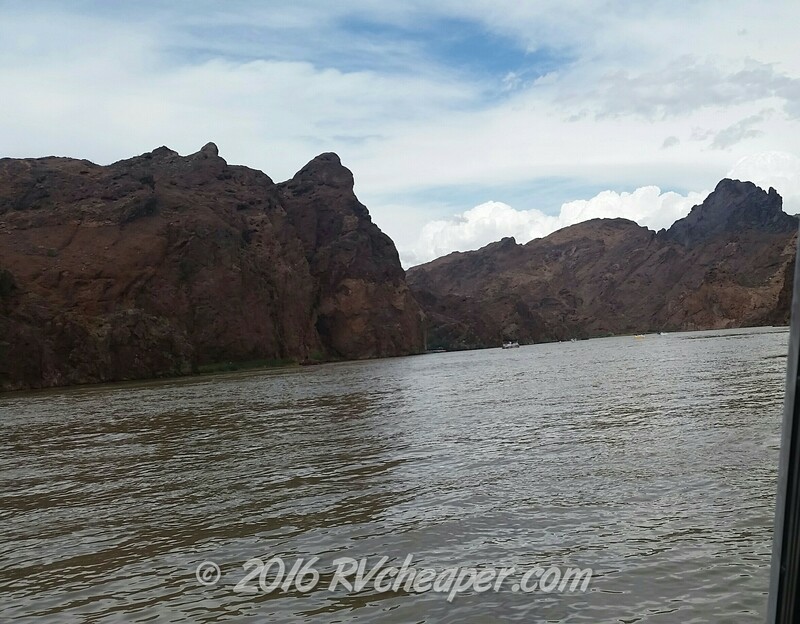 The variety of things to see and do along the Colorado River has me wanting to stay at several locations along the river someday. Canyon walls that seem to be solid stone! Palm trees and Cattails living in harmony! Stretch break for the Happy Hour crew. 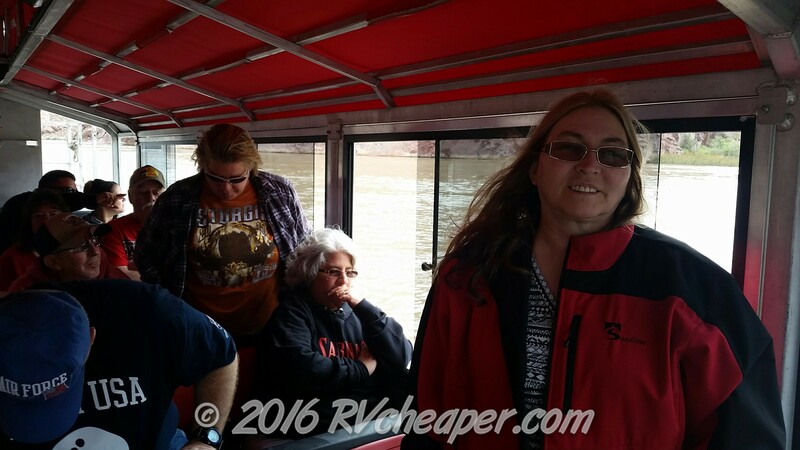 Yes, it was cold for us desert rats!